Animal cruelty is an all-too-common crime that is both disturbing and serious. In fact, research shows that animal abusers are more likely to commit a violent crime against humans. But animal cruelty is often ignored by authorities, with suspects facing little to no jail time for even the worst cases of torture and death. Up until recently, the harshest punishment an animal abuser could face in the U.K. was 6 months imprisonment; however, with the persistence of animal welfare advocates and Environment Secretary Michael Gove, a new law—the Animal Welfare (Sentencing and Recognition of Sentience) Bill–will increase sentencing to up to 5 years for extreme offenses. Some may feel the new maximum sentence is not long enough, but it is a starting point. We can hope that this critical move will lead other countries to follow suit—to a brighter future for all. “These plans will give courts the tools they have requested to deal with the most abhorrent acts. This is one part of our plan to deliver world-leading standards of animal welfare in the years ahead,” Gove stated. Not only does the law increase jail time, it also entails “unlimited fines,” and animal abusers will be banned from owning animals in the future. The bill was drafted and put up for discussion last December by Gove. 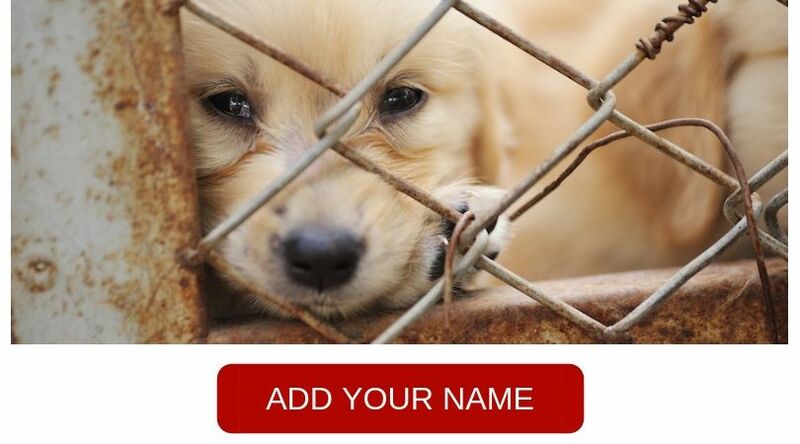 It instantly gained support from both the public and animal welfare organizations. The decision makes one thing clear: Britain is no longer willing to tolerate animal cruelty, or tie the hands of the courts with severely inadequate maximum penalties. We hope they will continue to strengthen animal protections, for the good of animals and humans. the judge who is so lenient MUST GIVE UP HIS JUDGESHIP!!!!! THIS JUDGE MUST BE OUSTED! “ILL TREATMENT OF AN ANIMAL! ?” Are you serious, Judge????? This game s much beyond ill treatment…CHAINING AND STARVING AN ANIMAL IS CRIMINAL and warrants prison!!! Treba uviest do praxe zakon, ktory bude umoznovat rovnaky trest nasilnikovi, aky pouzil na zvierati. Aj v pripade zabitia… Take monstrum sa nemoze lutovat, bude este horsi…. H O O R A Y ! So happy to hear this great news.If only the rest of the world would wake up and enact more stringent punishment for animal abusers, especially the USA. We must respect all animals and treat them kindly. Congratulations to the UK for enacting this forward thinking change! The animals we abuse have exacy the same emotional and physical feelings as human beings do, that is because human beings are animals too. But the majority of people don’t want to know what happens to these poor animals because they pay sone sick men to do it for them. The horrific abuse they go through all caused by man. If it was even just one male human being going through the nightmare just one alnimal does then this would be classed as a crime. But for the poor snimals this isn’t the case. We all have the same feelings. Une merveilleuse nouvelle, avec l’espoir que d’autres pays suivront ! This Bill is absolutely a step in the right direction. The need in the future will be to increase the sentences. Quote from Lady Freethink – 15/9/2017 – from Nadine Lucas, Chairman of Animal Rights: “Mistreatment of animals is quickly forgiven and forgotten when economic interests are involved. To recognise animals in legislation as living, sentient beings is an absolute necessity for their welfare and protection to be taken seriously”. A step in the right direction at last. When can it be law that convicted animal abusers be sent to labs for use in testing medicines, cosmetics etc? It will save the countless thousands it costs to jail the scum. Might also be a deterrent, after all, this type are nothing by cowards. Animals have also rights to live!!!! JUST PUT THEM TO DEATH. FEED THEIR CARCASSES TO THE ANIMALS. Great news! You have no idea how much this means to me. Sometimes I get too overwhelmed and depressed reading about these horrible acts of cruelty. So knowing that there’s those out there (like Lady Freethinker) fighting on behalf of our animal friends is really a balm for a battered spirit. It may not be harsh enough punishment, but it’s a step in the right direction. Still nowhere long enough sentencing , punishment – needs far more severest of punishment that just 5 years for inflicting suffering of all kinds upon innocent defenceless pets, animals that have done no harm to anyone whatsoever – completely unacceptable. And also those who inflict unacceptable suffering upon completely innocent defenceless pets should also be banned for life from owning any other pet, animal etc, and those who inflict unacceptable suffering upon innocent animals through to species of wildlife should be completely banned from coming into any contact with all animals ( from pets through to wildlife permanently. Finally some good news out of England! Hope the rest of the world follows suit. I love Animals and they dont deserve this cruel inhumane treatment, they look to us for comfort,love and for us to take care of them like one of your loving family members. It’s about time good for the UK now please everywhere follow along the people who do these horrible thin,gs might deserve more but this is a very good start. 5 years in prison is much better than a small fine and they go and do it again ,I just want so badly to know that one day animals will be safe from these monsters.They don’t deserve treatment like that. And to the ones that can do these horrible acts you will be punished one day I’m sure then you will know what it is like forthe suffering you put them through. For those sub-humans who inflict Cruelty to innocent animals must be severely punished. Good for the UK. Now if every country would follow suit, what a better world it would be for the animals. Yes; this needs to happen! Thank you U.K. for starting to make a difference. I wish this country, USA, would follow your example. We have some disgustingly mean people here. No punishment is too severe for cruelty to any living creature. Now, America needs to adopt Federal Laws to protect all forms of domestic and wild animal abuse. All animals deserve our trust,and respect.Only a COWARD, and beast would hurt them..Increase the minimum sentence to 10 years,and let the abusers serve the full sentence. Five years is not long enough. Great! Glad to see penalties increased! I work with animals. They feel pain and fear just like we do. Why would you think any different. We need to be their voice. Please give animals the respect they deserve. Great ! And Education to be kinder to animals ! Should be taught in elementally schools. This is long overdue !! This law must be passed !! Innocent animals are too often suffering abuse and losing their little lives at the hands of these evil doers Maximum sentences must be given with the mimimum sentence of 5 years in jail !! Something !!! has to be done immediately, and something serious, under 5 years will not deter the perpetraters of these vile crimes that has been seen time and time again , So Britain Please set the standard for the rest of the world to see , these poor animals need us to be their voice !! the fear and pain and suffering at the hands of wicked cruel people has to be stopped for these innocent beings …..
ALL ANIMAL ABUSERS, regardless of age, mental illness, race, IQ, etc, position such as cop, shelter employees, as well as poachers, trophy hunters like zinke and the moron trump sons, enablers at all levels, again like govt officials zinke etc, MUST FACE ONLY 1 SENTENCE EXECUTION IN THE SAME MANNER THEY HARMED AND KILLED THE ANIMAL. When I say Animals, I mean every creature Great and Small for HE made them all, be they land, sea, air creatures. Execution at once is needed. I love your comment, Thomas. And agree completely. Thank you. Wonderful! VWish they would get smart here…. So happy to hear that, it’s a hard and long struggle but when you hear news like this there’s a ray of hope for our beloved animal friends. I really hope that every other country follows suit and we can finally breathe a sigh of relief for all animals. EXCELLENT news — WAY TO GO — take these idiot-monsters off the streets and throw them in rubber rooms — they’re a DANGER to us all — animals NEED our voices and actions to PROTECT them. — REMEMBER : CRIMES AGAINST ANIMALS MUST BE TAKEN SERIOUSLY — We must ensure that idiot-psychos stay away from animals – the depraved indifference to the well-being of our innocent, trusting, vulnerable animals is telling of unconscionable, insane, sadistic, cruel, immoral & merciless humans – PUNISHMENTS & PENALTIES MUST BE SEVERE! –We do NOT want repeats of these crimes — EVER! That is great news if all the countries do the same it will be a better world for our beloved four legged. Fantastic! I wonder if this is a result of backlash against Parliament’s recent decision that animals are not… sorry, forgot the term, but it designated animals as a far lower life-form with regard to thinking and feeling. Great news! Time for more countries to follow suit. Punishment to deter others, and reform, if possible. great decision – let’s hope many others follow. there’s room for everybody to punish animal abusers really seriously. Wonderful news! About time!! Hope other nations follow suit!!! The U.S.A. needs to follow the lead from the UK on animal abuse laws. This is great news. The courts and police must withold the law and not turn a blind eye to animal abuse. Especially fox hunting and dog fighting. That is absolutely amazingly awesome, now if we could just get the rest of the world to do the same thing it would turn into a much, much happier and better planet. Stop with the excuses (mentally ill, substance abuse, etc). Punish animal abusers to the maximum in your country and then other countries will (hopefully) follow suit! The FBI in the states has proven that animal abuse leads to abuse of people! So no more light sentences with these cretins who find joy in hurting and killing animals! Glad Britian is stepping up! We need to follow against animal cruelty!!!! Felonies and prison for those of us with no empathy for other sentient beings! I am a real animal lover, I don’t only love my animals I love other peoples.